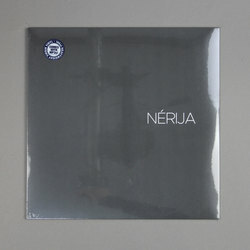 Nérija - NÉRIJA EP. Vinyl EP. Bleep. Domino are the latest big label to cotton on to London’s exciting new jazz scene. Their latest signing Nérija is a septet very much immersed in the city’s fresh sound. Nubya Garcia and Sheila Maurice-Grey are just two of the names you’ll recognise among Nérija’s ranks, and it’s no surprise to find that they bring some serious chops on this eponymous EP. Tunes such as ‘Redamancy’ and ‘Valleys’ are full of rhythmic bite, while ‘For You’ show Nérija to be a dab hand at balladry too. Originally issued in 2016, the five-track set has been given a new mix and mastering job on this reissue. It makes the group’s lush, full sound even richer.